WOW! SHAH RUKH KHAN AND BRAD PITT TO ASSOCIATE? Yes, It is happening. When Brad Pitt met Shah Rukh Khan at his Mumbai home recently, people just thought that it's a general celebrity meet. It turns out, it's not. Do you want to know what's cooking between the two mega stars? Read more to find out. 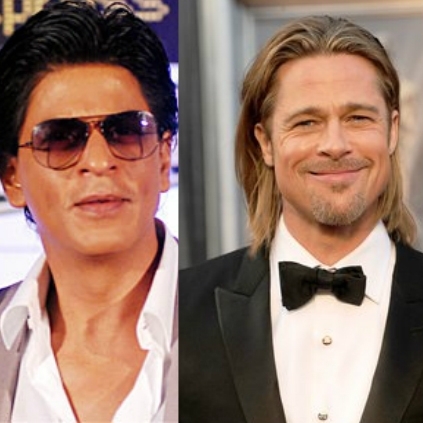 Brad Pitt and SRK had met and reportedly discussed plans to collaborate and jointly produce out of the box films. Apparently, the stars may or may not necessarily star in the films but they will produce them. It is reported that the type of films will not be typical Bollywood or mainstream Hollywood. They want to associate and produce different films. This is some intriguing news for the day, and it would be even better of they were to star together in the films they produce! Let us wait and see what the duo has in store for us. People looking for online information on Brad Pitt, Shah Rukh Khan will find this news story useful.